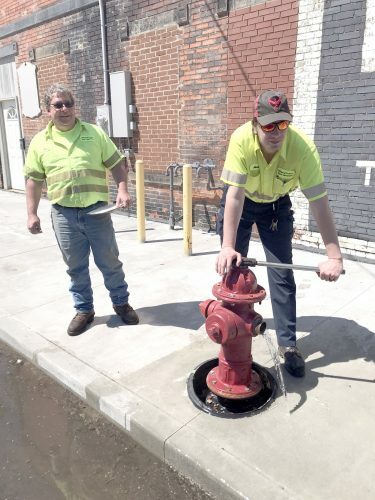 WELLSVILLE — Village fire Chief Barry Podwel said Monday that plans announced during the recent council meeting regarding flood wall training have been changed to accommodate some schedules. Originally, Podwel had announced firefighters would be erecting the main gate near the entrance to the village starting at 9 a.m. May 18 as a training exercise, but that date has now changed to May 11 at the same starting time. “We will still do some training on the small gates May 18,” Podwel said, but that will not affect traffic in and out of town as will erecting the main gate. While the main gate is being put into place, traffic will not be able to travel through that area until the training is complete and the gate is removed. In a related matter, Podwel was not too concerned Monday about the Ohio River posing a problem, despite warming temperatures and anticipated rainfall, saying it had risen to about seven feet over the weekend but quickly fell back to about four feet. He said the river would have to rise considerably higher before consideration is given to putting flood gates into place.